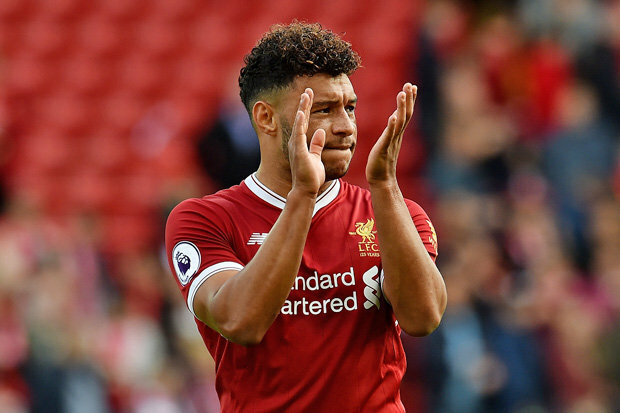 Alex Oxlade-Chamberlain has sent a message of thanks to Liverpool fans after helping the Reds thrash AFC Bournemouth 4-0 at Dean Court this afternoon. The 24-year-old made a slow start to life at Anfield following his £40m deadline day move from Arsenal in the summer but the versatile midfielder is finally starting to show what he’s capable of. Oxlade-Chamberlain has been seeing more regular first team football in recent weeks and started his sixth Premier League game in a Liverpool shirt against Bournemouth this afternoon. The England international was excellent in the middle of the park and played a key role in securing an impressive 4-0 win with Philippe Coutinho, Dejan Lovren, Mohamed Salah and Roberto Firmino getting the goals. The victory sees Liverpool climb back in to the top four – above Oxlade-Chamberlain’s former club Arsenal – so it was an important win for the Merseysiders, especially after they were held to a 0-0 draw by West Brom last week. Oxlade-Chamberlain has now taken to Twitter to express his delight at securing all three points and he also sent a message of thanks to the fans, who he says were on ‘fire’ today.